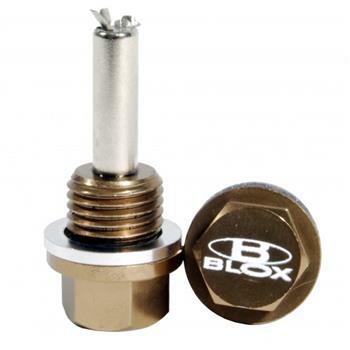 BLOX Racing magnetic drain plugs are a must for performance enthusiasts and do-it-yourself oil changers. The powerful, magnetic stems attract metal shavings that circulate in the engine’s oil and not trapped by the oil filter. BLOX Racing magnetic drain plugs offer additional peace of mind in between oil changes and are direct-fit replacements.